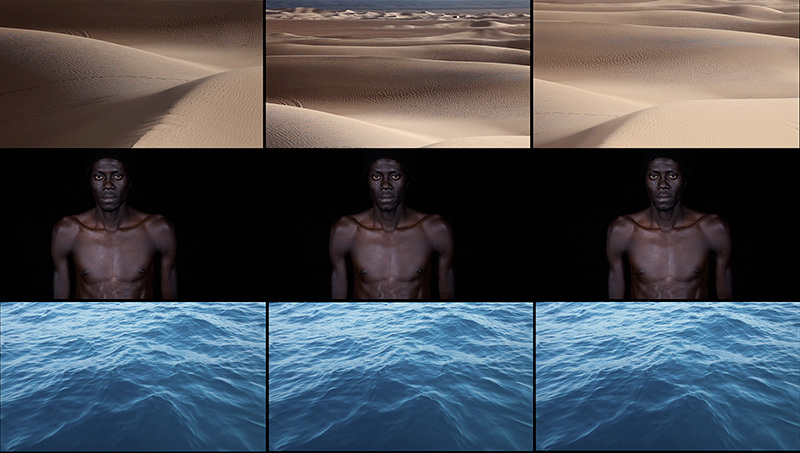 Crossings is a three-screen video installation exploring the experience of sub-Saharan migrants who embark on the perilous journey to reach the elusive European shores. The installation combines voiceovers and static portraits with reconstructed video landscapes filmed from the imaginary viewpoint of the migrants. It is an immersive experience into the collective memory of a forgotten minority.